I placed A Cure for Wellness in my most anticipated of 2016 when I was led to believe it would be released this year simply on the merits of it being the first film director Gore Verbinski had made since his major 2013 misfire in The Lone Ranger (misfire in terms of budget versus box office, not necessarily in terms of quality). Never mind the fact this would also be Verbinski's return to the horror genre after crafting The Ring re-make in 2002 which still stands to be one of if not the scariest theater-going experience of my life. And so, while the film will inevitably come out at the beginning of 2017 I am still very much looking forward to it and won't immediately discredit the quality of the film simply based on the early-in-the-year release date that typically signals poor quality-especially in reference to horror films. For a film that is as visually impressive as this trailer makes the final product out to be one can only hope that the story and its power is able to measure up. Still, in this first-look trailer we don't get much in the way of narrative, but rather are treated to a flurry of beautifully concocted images that add up to a full portrait that will hopefully be terrifying as all get out when brought together to serve the story. Based on an original idea by Verbinski and screenwriter Justin Haythe (Revolutionary Road) the film is said to follow an ambitious young executive who is sent to retrieve his company's CEO from an idyllic but mysterious "wellness center" at a remote location in the Swiss Alps, but soon suspects that the spa's miraculous treatments are not what they seem. 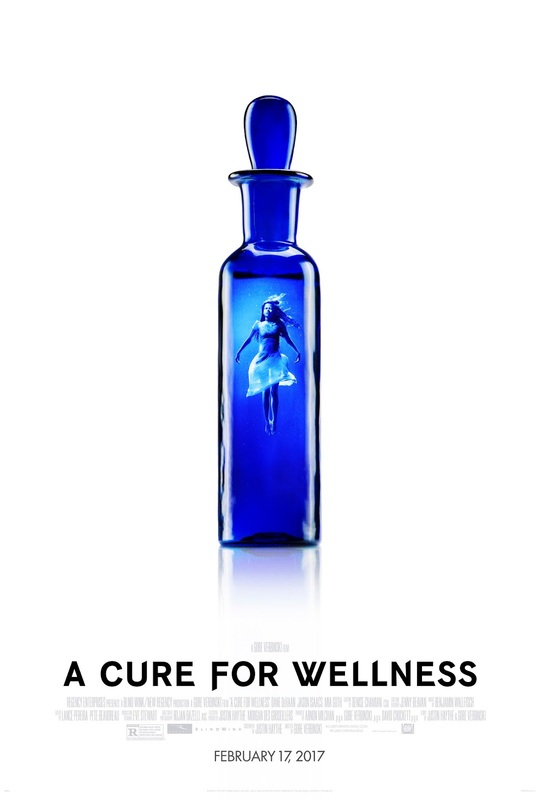 Surely, the mystery around this "wellness center" will be key to the marketing of the film, but I've already seen more than enough to be hooked as Verbinski feels like an underrated talent and something of a hidden gem. Just look at the original Pirates of the Caribbean trilogy in all their majestic grandeur and don't forget the modern classic that is Rango-the guy has serious skills and to see him returning to the world of horror should herald much more than the silence of February will likely bring. A Cure for Wellness stars Dane DeHaan, Mia Goth, Jason Isaacs, Celia Imrie, Lisa Banes, Adrian Schiller, Susanne Wuest and opens on February 17th, 2017. Synopsis: An ambitious young executive is sent to retrieve his company’s CEO from an idyllic but mysterious “wellness center” at a remote location in the Swiss Alps. He soon suspects that the spa’s miraculous treatments are not what they seem. When he begins to unravel its terrifying secrets, his sanity is tested, as he finds himself diagnosed with the same curious illness that keeps all the guests here longing for the cure. From Gore Verbinski, the visionary director of THE RING, comes the new psychological thriller, A CURE FOR WELLNESS.